Note velocity applied to a filter cutoff frequency is a first sound principle, which leads the artist to understanding of different timbre types. This principle is borrowed from acoustic instruments like piano, where different key strokes lead to harder or softer string excitation. The Velotone EP is a last stage before algorithmic comprehending of Ruslan Yusipov sound style and definition. 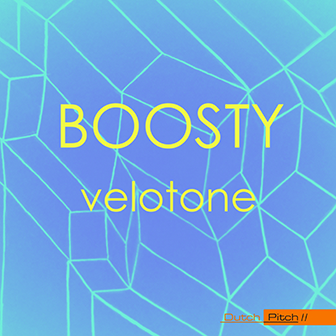 Velotone EP captures the same rhythm generation and sound synthesis technics as defined in Compositor software but each sound is processed by hand, not by the algorithm. By the way, do you know that the function behind the algorithmic representation of rhythmic structures in Velotone EP is the same as in Compositor software granular playback engine? Rhythm and pitch are both efficient and important for dance music styles. Velotone EP brings a new approach to techno music scene of selecting both rhythm and pitch programmatically. This helps to define a relationship with audience to dance for an algorithm rather than human intellectuality.